Experience all that Siem Reap has to offer in our stylish 3 star international hotel. 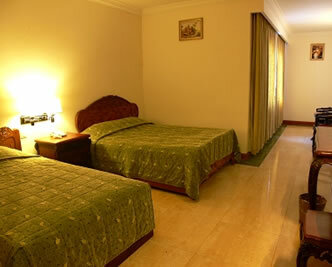 The Angkor Star Hotel is as ideal base to explore Siem Reap and the magnificent temples steeped in legends and history. Angkor Star is conveniently located in the heart of Siem Reap historical city where all shopping and business center and attractive sites are nearby. To Angkor only 10 km from the entrance, 10 minutes from the airport. The Angkor Star with 60 rooms is also equipped with Khmer designated and is elegantly wooden furnished to make your stay enjoyable and convenience located. With exceptionally warm hospitality and traditional Cambodian sincerity and kindness your stay will be something not to be forgotten with our friendly service. Radius Angkor Star Hotel in larger map.